Hey, there internets! 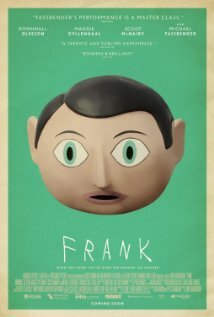 I just saw the movie Frank. I offer you a tease in the form of the trailer and my review as a mini-podcast. Enjoy! Well readers, I finally got around to trying one of the breakfast items at Taco Bell this morning. It was the “Sausage Crunch Wrap”. It is one of their crunchy tortillas wrapped around a mixture of sausage, cheese, egg and hash-browns. Sounds decent to me, but I love breakfast and anything that goes along with it. That being said, my first bite of this breakfast offering was less than stellar. Actually it had no flavor. None. There was no differentiating between the wrap, the sausage and the egg and the hash-brown. I was amazed. I assumed that Taco Bell would at least impart some flavor on their unsuspecting public, but apparently that was too much to ask. Then I took my second bite. This is when the real fun began. My mouth was flooded by Taco Sauce. Yes, that is right, Taco Sauce. I mean I have had salsa on eggs before, it is ok, but this was too much. From that mouthful forward, that was all I tasted. To make up for the lack of anything resembling flavor, they masked the wrap with their horrible taco sauce. Let’s just say I won’t be trying any other of their breakfast offerings. I was highly disappointed. I personally can not recommend this one item and it was bad enough that I won’t be going back. Hello there folks! I am doing somewhat of a follow-up to the Taco Bell post. I will be trying their breakfast and give a review of either the deliciousness or the horror. I will follow up in a day or two as soon as I can find a local Taco Bell that is actually open for breakfast!